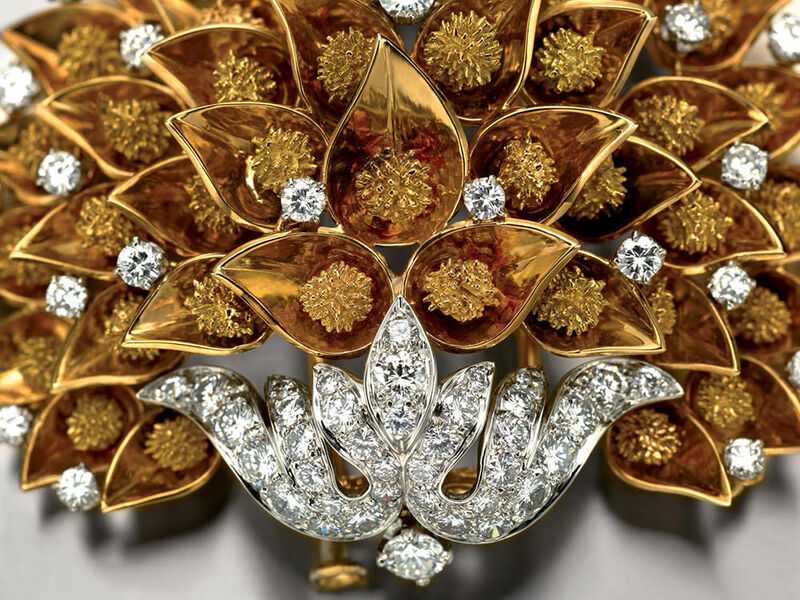 For the first time in Russia, the Moscow Kremlin Museums will hold a retrospective exhibition, presenting pieces of high jewellery art by world-known Italian Maison BVLGARI, which history dates back more than a hundred and thirty years. 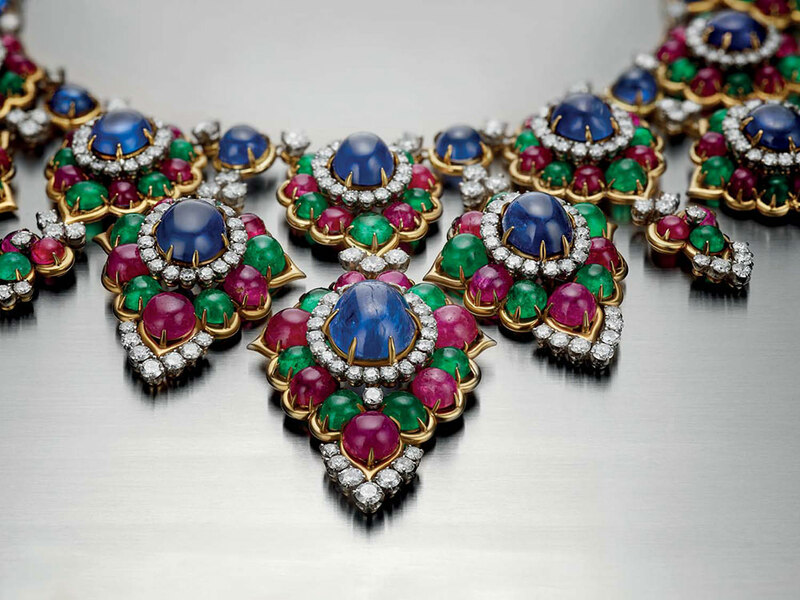 Over four hundred unique pieces of high-end jewellery from the Bulgari Heritage Collection, as well as pieces from the private collections from around the globe, will be on display at two exhibition halls of the Kremlin museums — the Exhibition Hall of the Assumption Belfry and the Exhibition Hall of the Patriarch’s Palace. 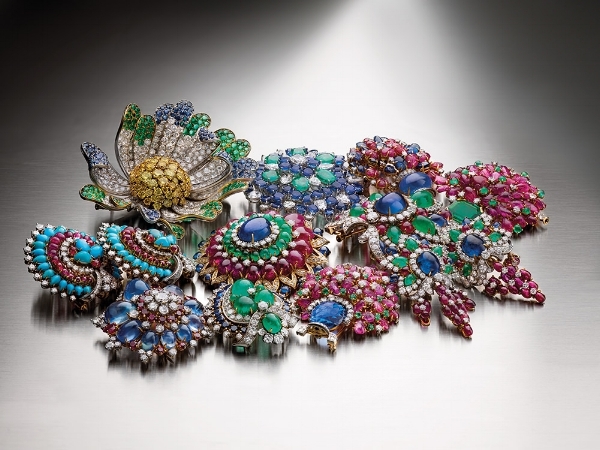 The formation of such an original style of BVLGARI in all its variety will be represented by works created during many decades, beginning with the earliest silver items, accomplished in Neo-Grec tradition by the founder of the family business Sotirio Bulgari in the 1870s and 1890s, including luxury pieces of the 1950s and 1960s —La dolce vita epoch, as well as extraordinary works of the 1970s and 1990s. The history of the brand is closely related to such legendary women as Anna Magnani, Elizabeth Taylor, Audrey Hepburn, Ingrid Bergman, Gina Lollobrigida, Monica Vitti and Sophia Loren, reflected in the display which includes a considerable quantity of jewellery that expressed charismatic image and inimitable character of each woman. Susceptibility to experiments, creativity and inventiveness, which are identified with BVLGARI international name, will be shown in large complexes of works, demonstrating surprising originality and courage in interpreting familiar motifs and themes, as well as extraordinary richness in colour and plastic when working with different stones, including cabochons, their unexpected colour mix and combination of precious and semi-precious materials. 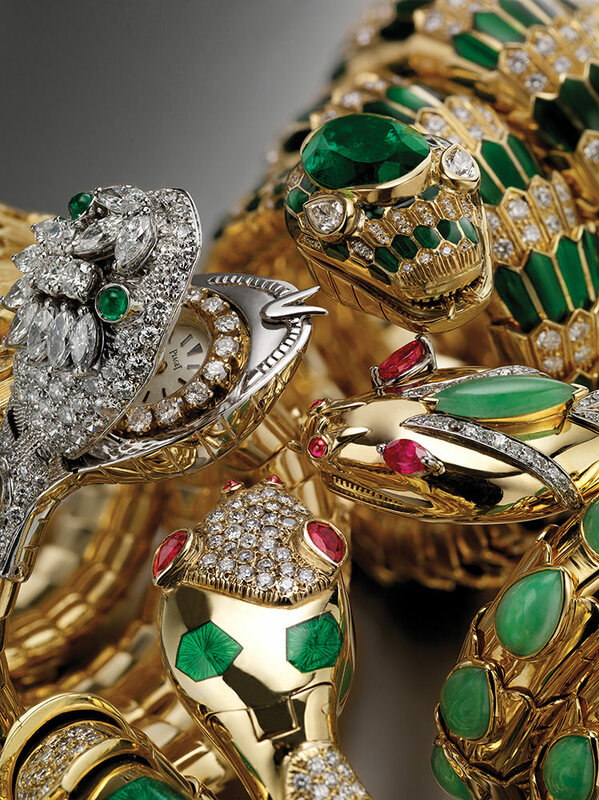 This refers to the collection of bracelet-watches SERPENTI, being developed by BVLGARI from the mid-1940s. It symbolizes ancient Roman roots of the brand and at the same time reflects esthetics of the 20th century as the construction of the items involves TUBOGAS technology (‘tubogas’ – gas tube) in which the flexible hollow band made of precious metal enlaces the wrist and ends up with the watch. In this respect, a variety of scaly decorations becomes countless: enamels, stones, dull and polished gold. 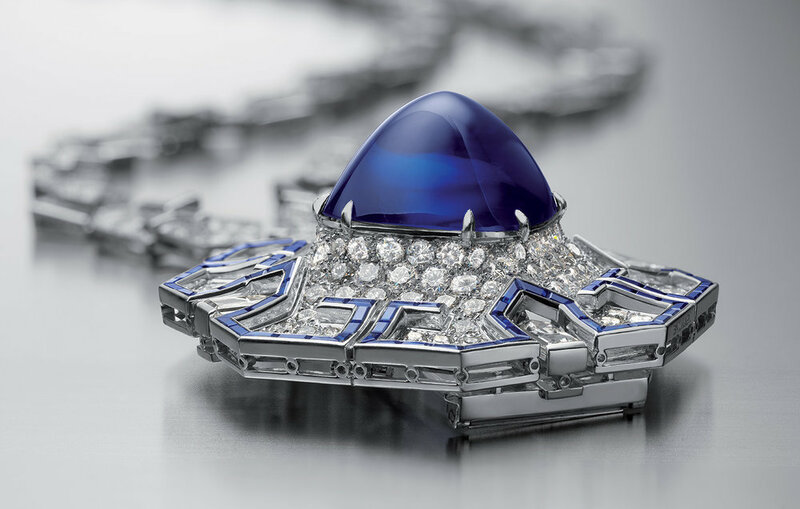 A new life of an ancient tradition was embodied into another collection of the Maison BVLGARI that was being created from the mid-1960s—MONETE. It uses Greek, Roman and Persian coins of colossal historical value. Furthermore, inscriptions on the coins that go with images of the emperors inspired artists in 1975 to use the company’s logo as an element of watches design: first—BVLGARI ROMA, and then—BVLGARI BVLGARI, that turned out to be in high demand and of great interest among the admirers of the brand. Several original novelties became successful and innovative in the 1980s, viz combination of precious materials and silk laces in necklaces, as well as the formation of adornment compositions out of individual details— modules, made of metal, various stones and mounted like travertine of Rome paving, on the principle of the curly bracket— PARENTESI. These objects were produced in many combinations, beginning with diamonds and finishing with haematites and corals. In the 1990s, BVLGARI’s experiments on introducing new materials culminated in the creation of one more amazing collection which used white porcelain—CHANDRA, meaning ‘moon’ in Sanskrit. 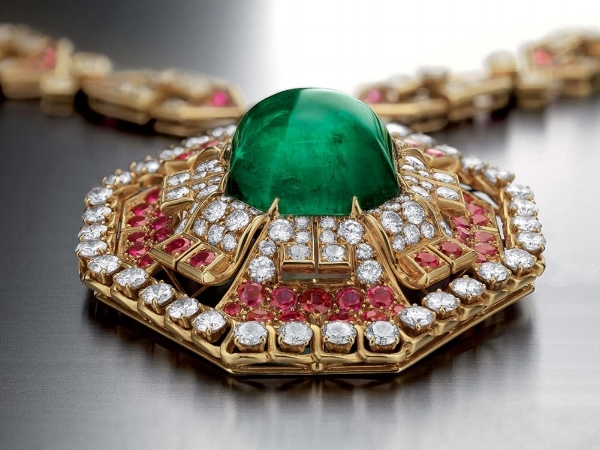 Thus, the Moscow Kremlin Museums exhibition will demonstrate the evolution of the design of the renowned Italian Maison BVLGARI, which artistic heritage remains a vivid page in the history of world jewellery art of the 20th century.